Do you forget about your Bill Payment every month and looking for the Best Bill Reminder Apps? 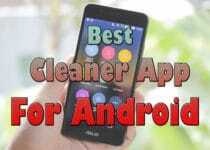 If Yes, then you are at right place as today I’m going to share Top 21 Best Bill Reminder Apps For Android & iOS. If you are forgetting your Bill Payment and always pay extra money as a fee, then Bill Payment and Reminder App is a Must-Have App for you. Apart from Bill Reminder App, you can also use Alarm Clock App but that might not be a good solution. You should try Apps which has many features including Bill Reminder, Bill Payment, Notepad Apps, Calendar App, Planner App, etc. There are many Bills which are paid every month, so you might forget about it. So, using these Bill Management App can help you to manage all your bills and remind bill payment on time. 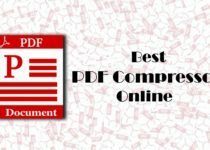 There are tons of Bill Payment Reminder Apps available on Google Play Store which you can use but here I’ve shared the most popular and Best Bill Management App For Android & iOS. 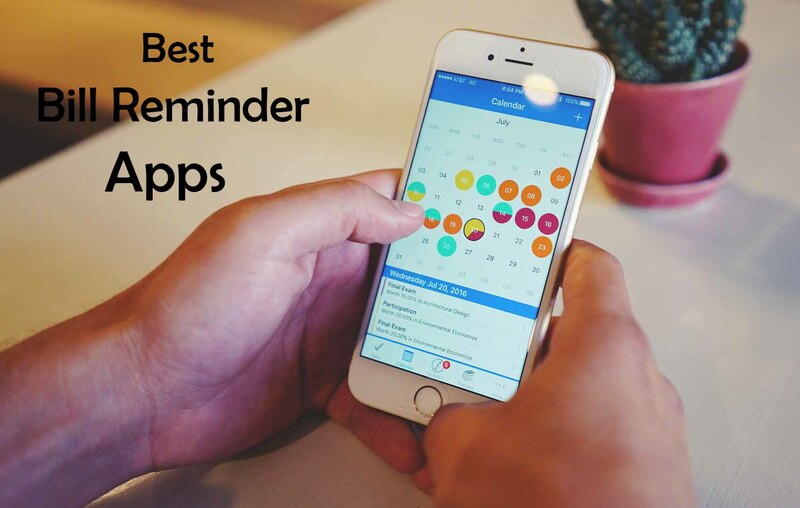 So, without wasting more time, let’s proceed further and check out 21 Best Bill Reminder Apps For Android & iOS – 2018. Prism Pay Bills is one of the Best Money Tracker App and Bill Reminder App that will help you to remind your bills and pay all your bills in seconds. This App will not just remind you for bill payments but will do a lot more things like Track Bills, Check Account Balance, Due Dates, Payment History, Payment Calendar View, etc. With this App, you can easily track and manage all your bills at one place. Now you don’t need to remember any dates, all the thing will be done by this App. Money Lover is one of the most popular and Best Budget App For Android & iOS Smartphones. With this App, you can easily track your expenses and manage them all. Do you overspend your money? Don’t worry, this app will let you set your budget and you can move accordingly. You can set budgets for different things like Shopping, Transportation, Foods, etc. Moreover, you can get many other features with this App including Adding Budget, Online Backup & Sync, Currency Exchange, Multi-Currency Support, Bill Reminder, Expense Tracker, Link Bank Accounts, etc. If you are looking for an App that can show Pie Chart of the Expense, then Monefy is for you. The App lets you set your budget and show all your expenses on the home screen. The App also comes with a handy Widget that can be easily used on Lock Screen. You can add and remove new records from that app easily. Additionally, it has many other features including Multi-Currency Support, Budget Mode, Built-In Calendar, Backup & Export Data, Add & Remove Records, Passcode Protection, etc. Mint is another most popular and Best Expense Tracker App For Android & iOS Devices that can manage all your expenses in one place. If you don’t remember your bill payments, then Mint is for you. You can keep track of all your expenses for every month and you can also check your expenditures via Pie Chart. Not only this, but you can do a lot more things like Manage Bills, Track Expenses, Get your Free Credit Score, Manage Accounts, Create Budget, Bill Pay Reminders and many more things. Wallet – Finance Tracker and Budget Planner is another Best Finance Management App that can track your budget and expenses. On the Homepage of the App, you can check your Balance and Last records overview that you’ve spent. It also has In-depth Analysis where you can check your expenses in the form of Bar Graph & Pie Chart. Furthermore, you can also get important alerts on your lock screen and it also has its Widget where you can check your Expenses & Income. Overall, this is one of the Best Bill Reminder App For Android & iOS. Evernote is basically a Note-Taking App where you can take notes of important things. If you are looking to take notes of your Bill Payments and Expenses, then you can try out this App. This App is not just a Note taking App but much more than that. The App can easily create a bill reminder for you so that you can pay the bill on time. Apart from this, the App also works as Document Editing App where you can edit documents and it also has a Scanner to Scan Handwritten Notes. Overall, this is one of the Best Bill Reminder App For iOS & Android. Mobills is one of the Best Budget Tracker App for Android & iOS Platform. With this App, you’ll have all the controls of your income and expenses. You can spend your expenses by categories and it will show all the daily, weekly and monthly expenses and budget. You can also analyze your finance with Charts. Moreover, you can add all your Credit Cards in one place. Overall, this is one of the Best Daily, Weekly and Monthly Bill Organizer App for Android & iOS. If you are looking for an All-In-One App that comes with Bill Reminder, To-Do List, Calendar & Planner, then Any.do is the perfect App for you. The App is quite popular which is used by millions of people and also highly rated on Google Play Store. This App can easily remind you for every task you add. Apart from Reminder, you can do a lot more things including Working Together with Team, Beautiful Calendar that reminds your task, Lock Screen Notifications, Add To-Do Tasks, etc. Spendee is another Best Expense & Spending Tracker App that will help you to keep an eye on your budget and expenses. This App will also remind you for your Bill Payments and other tasks. You can also Connect your Bank with this App and Import all the transactions. You can manually add your expenses and this App will automatically categorize them for you. All the Bill Payments & Reminders made easy with this App. As the name suggests, this is a To Do List App that can add your To-Do List including Bill Payment Reminder and Remind you on time with Alarm. Not only Bill Payments, but you can add any task you want and set an Alarm. You can easily set date and time and relax as this will notify you for your next task. Moreover, this App has many other features including Send Reminders to Others, Customize your reminder, Back up your Data, Driving Mode, etc. As the name says, it’s a Spending Tracker App that will keep track of your spends and income. This App can manage all your transactions, spends and income. Here, you can check your Income, Expense and Balance. You can also categories your expenses so that it will be easier to identify. Additionally, it has many other features including Budget Mode, Beautiful & Interactive Charts, Multiple Accounts, Home Screen Widget, Auto Backup and many other features. Just Reminder with Alarm is another Best Personal Finance App, Budget App, Expense App, Income App, Bill Reminder App & Money Tracker App. Basically, this is an All-In-One App which comes with an Alarm that will remind you for Bill Payments. Also, you can set and customize your Alarm easily. Apart from this, you can also add To-Do Lists, Birthday Reminder, Bill Payments, Calls, Meeting, etc. Overall, this is one of the Best Money Management App for Android. If you are looking for a Simple and Easy to use Reminder App, then this App is for you. This is a Bill Reminder, Payment & Expense Manager App. With its Simple & Easy to use Interface, it’s easy to navigate and set reminders for your Bills Payments and other tasks. Talking about the feature of the App it includes Automatic Reminder, Manage Bills, Manage Budget, Backup Data, Attach Bill Receipts, Auto Bill Detection, etc. Do you have a habit of writing the task on your Calendar? If Yes, then this App is perfect for you. This App comes with a calendar where you can add your tasks and budget which becomes easier to check on a daily basis. You can easily view all your Budget, Expenses and Income directly on the Calendar. All the tasks and budgets are arranged date wise that can be easy to manage. In this App, you can also add your budget and define the task into categories. These can be later on viewed by the Pie Chart Diagram. The App also includes features like Inbuilt Calculator, Home Screen Widget, Graphs, Password Security, etc. As the name suggests, it’s a Basic Bill Reminder App that will remind you for every type of Bill Payments before the due date. You can add all the Upcoming Bill Payments by clicking on “+” Icon and it will show the Total Payable Bills of the month or from the selected date range. You can also Set Reminder, Change Currency, Change Theme, View/Edit Reminder, Delete Reminder, Attach Photos of Bills and do a lot more things. Pocket is basically a Personal Finance and Budget Management App where you can Manage your Budget, Expenses and Income. If you have Multiple Accounts, you can add them in this App and it will be easier to manage all the Accounts. You can also Track Balance of each Account with this App. Talking about the Key Features of this App, it includes Password Protection, Category Management, Multiple Currency Support, Expense Tracker, Calendar View, etc. Easy Bills Reminder is another Best Bill Payment Reinder App for Android Smartphone. You can Add Multiple Bills and Set the Reminder Date and the App will automatically notify you before the due date. The App comes with Weekly and Monthly View where you can check paid and unpaid bills list. You can also add new Bill Reminder by clicking on the “+” Icon. If you are adding a reminder for Electricity Bill Payment or any other Monthly Bill Payment, then you can also Repeat the Reminder every month. Bills Monitor Free is one of the Best Fre Bill Reminder Apps for Android Phones. With the Calendar view in this App, it’s easier to manage all the bill payments. You can add different bills by category like Loan, Studies, Cellphone, Education, Shopping, Restaurants, etc. You can also export all the bills easily with one click. Furthermore, it has features like Calendar View, Easy to Use Interface, Save Invoice Receipt, Built-In Calculator, Set Reminders, Pie Chart View, Edit & Delete Bills, Backup & Restore Data, etc. Fudget is another Best Monthly, Weekly & Daily Expense Tracker App For Android & iOS Devices where you can track your budget, expense and income. The design of the App is very simple and beautiful where you can set Reminder for Bill Payments and Pay all the Bills before due date. You can easily add all the expenses in a different category and even edit it later if needed. Also, it comes with In-Built Calculator for calculating and adding budget. As the name suggests, it’s the App for Home Budget Management. It is one of the Best Bill Reminder App For iOS & Android Devices. The UI of the App is very simple and easy to use where you will get options for Upcoming Bills, Adding Bills, Calculator, Settings, Accounts, Summary, etc. Moreover, the App has tons of features including Bill Reminders, Unlimited Accounts, 160+ Currency Symbols, Home Screen Widget, Password Protection, Built-In Calculator, Backup Data, etc. If you are looking for an All-In-One App with Bill Reminder and To-Do List App, then this App is for you. You can get Daily, Weekly & Monthly Reminder from this App. Whether its a Birthday, Anniversary, Party or just a Bill Reminder, this App will remind you for every task you add. You can also set a repeat reminder for monthly bill payments. Additionally, it has many other features including Call Reminder, Snooze Task, Repeat Task, Birthday Reminder, Bill Reminder, Material Design, Easy to Use, etc. 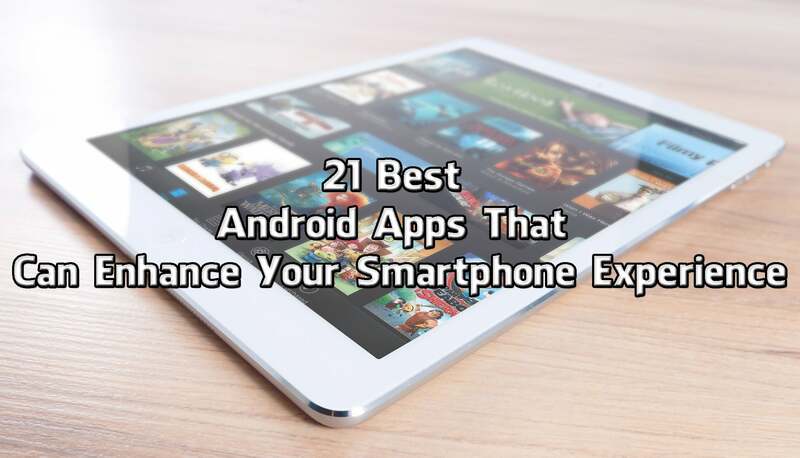 This was the Article On 21 Best Bill Reminder Apps For Android & iOS. Apart from this, there are many other Bill Monitor App but here I’ve shared the most popular and Best out of them. With these Apps, you can easily Track Bill Payments, Set Bill Reminder, Import & Export Data, Attach Files, Connect Bank Account and do lot more things. Hope you liked this Article On Best Bill Reminder Apps. Do Comment below if you know any other Best Bill Payment & Reminder App for Android & iOS. Stay tuned with us for more latest Tricks & Updates.